We are closed for each Bank Holiday in the year. 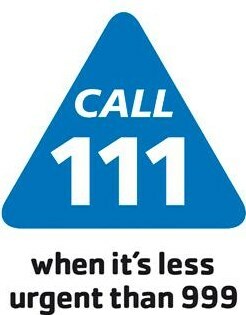 When the surgery is closed you can obtain medical help or advice by telephoning NHS 111. You will initially be asked to give details of the patient to a call handler. A trained nurse will then call back to assess the problem. As a result of your call you may be offered telephone advice, an appointment at the GP Collaborative based at the Royal Hallamshire hospital or a home visit/ambulance will be arranged for more serious conditions.